When used correctly, Lien Law §38’s demand for an itemized statement of lien can be the contractor or owner’s sword for challenging a subcontractor or supplier’s mechanic’s lien that may be exaggerated or unfounded. Likewise, when the demand for an itemized statement is not properly responded to, the lienor may lose an otherwise valid mechanic’s lien simply because it did not know how to respond in accordance with Lien Law Section 38. Luckily, Lien Law §38 provides a tool that, when properly utilized, supplies a wealth of information about the mechanic’s lien. 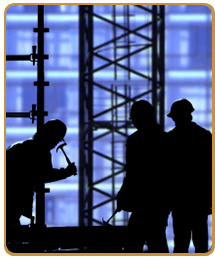 With an itemization in hand, Kushnick Pallaci’s experienced construction attorneys will thoroughly evaluate the lien and provide you with an initial analysis of the lien and develop a strategy for going forward. Both those asserting the lien, and those seeking to challenge the lien, should always consider availing themselves of Lien Law §38. Forcing the lienor to itemize the lien immediately puts the pressure on for them to validate the lien or face repercussions. But the lienor should not shy away from Lien Law Section 38. Instead, it can be viewed as an early opportunity to establish the validity of the lien and perhaps engage in meaningful settlement discussions. But beware, an improper response to a Section 38 itemization demand may have disastrous consequences. Kushnick Pallaci’s experienced lien law attorneys will guide lienors through the pitfalls of Section 38 and make sure that the itemized statement is fully compliant with the law. If you received a mechanic’s lien and want to require the contractor to itemize the lien, or if you are a contractor that received a demand for an itemization under Lien Law Section 38, contact us now for a free initial consultation with one of our construction lawyers.